This is an example of Yeep's Facebook landing page for sharing. Basic info of any businesses will be customized in the little shop, including company name, logo, open time, address and so on. And the gallery window will display photos you uploaded on Yeep. Such an exhibition is not a fancy call, because beside the customized business info display, this landing page is earmarked for sharing on that platform, which means all elements like image format and font are designed to meet Facebook content policy. So the page is Facebook-friendly and can be opened promptly. As all essential info is pleasantly shown in a compact place, when you share this page tailored by Yeep on Facebook, potential customers and business partners will be willing to lay their eyes on you. We've given you a hand, and you should do your part as well. Complete your business Facebook page profile. Fill up About Us section as complete as possible, including contact info, awards, impressum and more, because Facebook is building up its database through crowds. For instance, some users would be asked to provide service details about a place or company they checked in or sought via Facebook Editor. When a user checks in or tags a place, some pieces of yes-or-no questions will be asked, like "Is this place open on Sunday at 10:00 am – 11:00 pm?" or "Do you think the service provided in this place fulfills your needs?" In such case, open times and business story in your profile would be a benchmark for Facebook to consider whether that information is accurate or misleads customers, which may affect business appearance in search results. Add business categories that match services you provide. You can add two more categories in profile despite you are only asked for one category when starting your Facebook page. This can improve your visibility at some level. Provide verified location and show map and check-ins on the page. As mentioned above, because of the development of local search, the address will not only help your customers to get access to you, but also plays an important part in improving business visibility in search results. And Facebook will index the location into the local directory. You can regard it as a role of authority of your brand. A correct address will facilitate popularity of your brand when people check in your place and share with their friends. Enrich the Make-up of page. Firstly, the avatar should be consistent, and symbolic of your business. A recognizable brand logo would be a good choice. Then the cover photo, or banner, should be well-designed and present company's service. Also, this part will be a perfect tool for any new promotion or announcing updates of your brand. And don't forget to add a practical call-to-action button. There is no good coming up if you post too often. It will abuse followers' news feed, which will harm the impression. Thus, instead of "spamming" promotion on the page, you should craft high-quality posts that really help customers out. Significant content is way better than meaningless hype. Facebook is one powerful tool to bond your organization with customers. It is making great strides and influential progress in local search. That means it is a chance to take a step further in social marketing. So, follow the tips and start enhancing your Facebook page. Share a customized landing page of your store on Facebook as the first step. 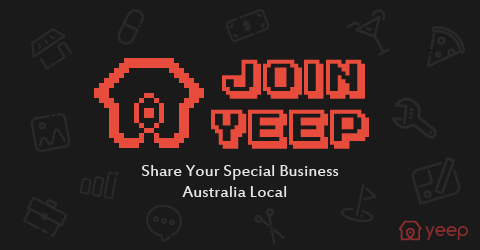 Since effort will be more likely to spare on local search, so it's recommended that Australian business owners join local directory like Yeep as another enforcement to the growth of business. The world of electronics is really the most innovative thing that is being used in new and innovative technology. There are many companies that are coming up and have come up in the past.